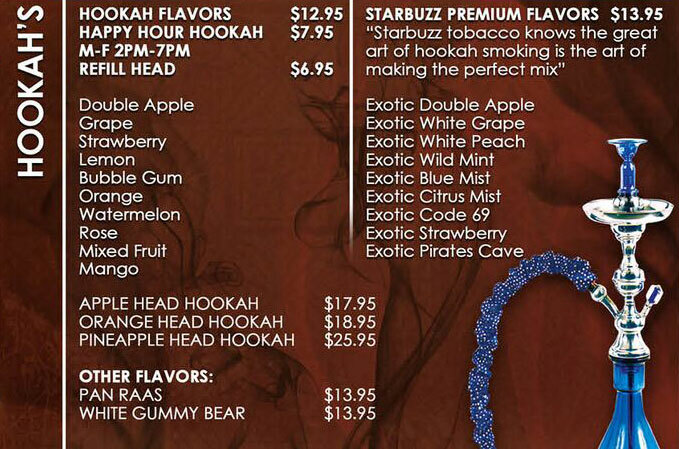 Group Order Hookah Menu Catering Menu Sign Up For Deals! Welcome to Cafe Layal where we serve Mediterranean cuisine such as Chicken Shawarma, Lentil Soup, and Salmon Kabob. We also serve Gyros, Burgers, and Pizza. We're west of I-45 at the corner of Helena Street and Gray Street. We're near Bagby Park and Eleanor Tinsley Park. Order online for carryout!